I am currently working as an art director for a small publishing company in Henderson, NV, and looking for new challenges! 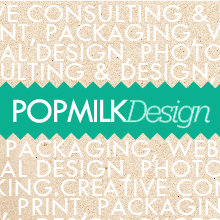 I'm working on growing my freelance business, Popmilk Design, and am always up for new exciting projects. I have a degree in Industrial Design, but focus on print design, advertising, branding and marketing strategies.